Deception, deceit, diversions, abuse, neglect……my mom is a 94 year old Cuban woman (born and raised in Cuba, but an American citizen), taken by force and deception from her home at the end of May 2012, she was told she was “going to a hotel” by her court appointed guardian and a caregiver paid by the guardian. 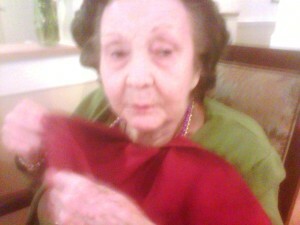 She was placed in the “memory care” unit of the assisted living facility without a dementia diagnosis, without being a flight risk, and without having any type of mental illness/indication of violent behavior. My mother has fallen at least 7 times (i.e., 7 visits to the Emergency Room) with 3 overnight hospital stays, and one incident with severe injuries. She has been subject to assaults by residents of that unit. Her guardian DEMANDED that my mom NOT speak our native language (Spanish) and to this day has refused to allow her to worship in her own church with her own congregation. She’s been constantly drugged and isolated from her family, including her 80 year old nephew (also Cuban) and his family, who has not been allowed to visit in more than one year. Everything on the “dirty tricks, wanting signals and stripped of power” listed in the NASGA website has happened to my mom. Decisions were made without notifying certain family and done behind closed doors, as well as attorneys making “deals” with the guardian because they could not be bothered. The guardian has filed dozens of frivolous motions all paid from the ward’s estate, including trying to get a restraining order against two grandchildren without the guardian even MEETING them. 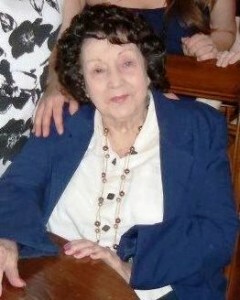 My mom is an angel and has endured so much pain and suffering, yet she never complains. 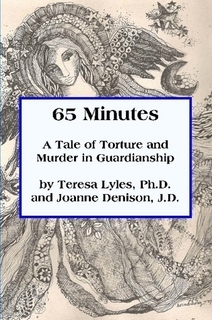 Read Teresa’s book of her Mother’s guardianship abuse: 65 Minutes ~ A Tale of Torture and Murder in Guardianship, available through Lulu. 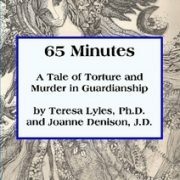 This is a true story of the horrors in Guardianship Court where Teresa Lyles, PhD lost her mother to an abusive system and several abusive “guardians” who allowed her precious Cuban mother to be drugged, isolated, tortured, forced to live in a locked down facility, where she eventually died, after being forced into a guardianship she did not want and did not authorize. She wanted to live in her own home or with her Protective Daughter, Teresa. 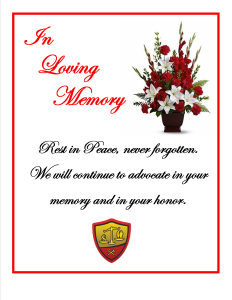 Ms. Lyles discusses her early family life, how much she was loved, and how much she wanted to love her mother and care for her in her own home. But that was not to be, for her mother was put through the horrors of an abusive Guardian and Guardianship court and a maze of uncaring Judges and Lawyers who simply were in it for the money billing at hundreds of dollars per hour. The Guardians also just wanted the money and all complaints of abuse, chemical restraints, and where Mother wanted to live, were always ignored.